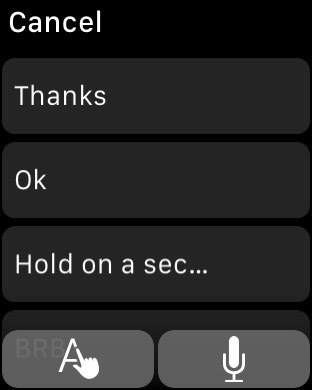 In earlier version of watchOS, users wanting to send or respond to texts had to choose from pre-set messages, or to dictate a text message with their voice. 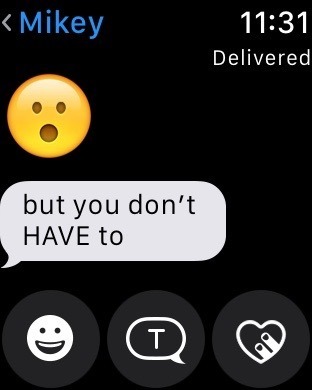 These limitations sometimes left Apple Watch wearers in a position where they had to either pull their phone out of their pocket to respond, or simply ignore the message until a later time. 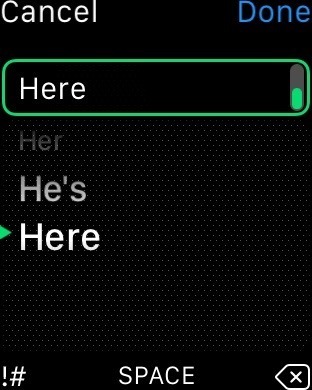 watchOS 3 addresses those circumstances with an entirely new way of sending and replying to messages: handwriting recognition on your wrist. 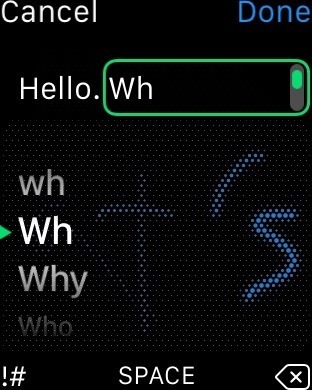 The watchOS 3 Messages app adds a new writing option, identified by an icon with a letter and a hand with index finger extended. Selecting this option brings up an entirely new entry field, where users can draw letters in a space designated by tiny dots. 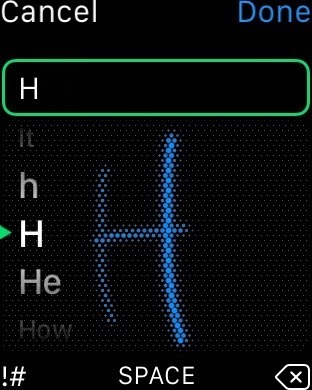 watchOS 3 allows users to draw one letter, then pause as it's translated into text, or they can squeeze multiple handwritten letters onto the Apple Watch display for an even quicker input method. As the handwriting is converted to text, the words being spelled out are displayed above. 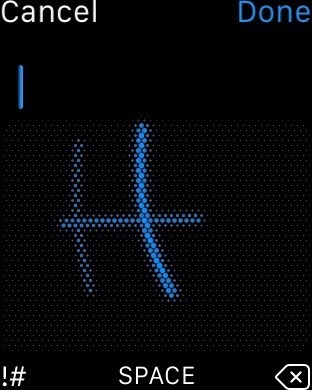 To the right, a pair of up and down arrows let users know they can use the hardware Digital Crown to scroll through potential word recommendations based on the letters already typed. Below the drawing field are shortcuts for symbol entry, putting spaces between words, and a delete button for erasing errors. Users can also draw symbols if they choose —creating an exclamation point or period works fine in our tests. 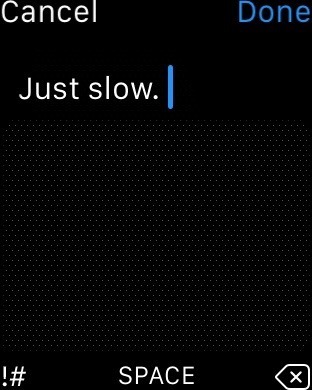 Once the message has been properly composed, users can simply tap the "Done" button on the upper right corner of the display to send it. 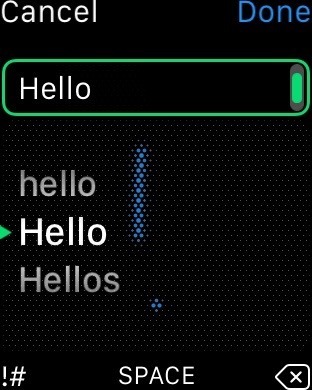 While this method of entry isn't as fast as it would be on a full-fledged iPhone display, it is an efficient and simple way of allowing text entry on a small wrist-worn display, and will likely prove beneficial to Apple Watch users who want to send out the occasional quick message.